We are pleased to announce that our Boulder office is teeming with fresh faces. 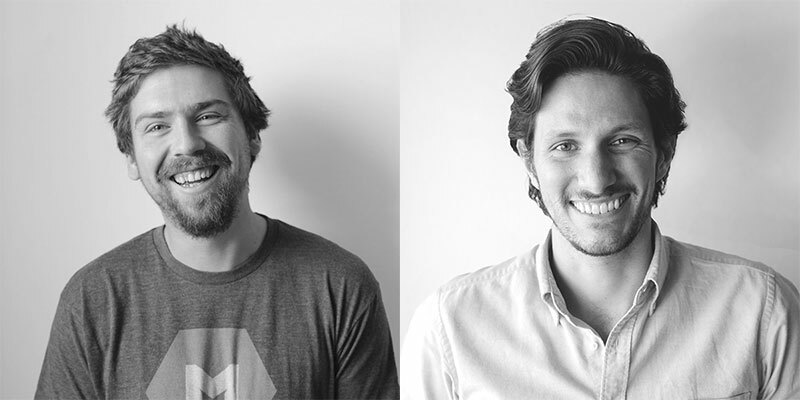 Our newest Mojos, Eric Freese and Micah Frost, come to us with considerable experience and amusing interests. For instance, Eric once took three months to solo cycle along the pacific coast, from Seattle to San Francisco, while working remotely along the way. Micah has an extensive skill set as a full-stack developer that includes more than 27 key technologies! Three years ago he moved from the east coast to Boulder and has never looked back. Read on to learn more about our newest additions. Eric: I studied Computer Science at CU Boulder and have mostly freelanced since graduating in 2010. Most recently, I worked for a little over two years with a small startup in town with a Rails stack. Micah: I received a BS in Computer Engineering at Lehigh University in Bethlehem, PA. After a few short term jobs, I worked remotely for a company based in NYC building web applications for four years. Eventually, I decided to pack the car and try my luck in Colorado where I met members of the MojoTech team. Eric: During my last year at CU, I helped design and build an administrative system for KGNU, a local community radio station. It handles event scheduling, music library management, and on-air playlist logging. Before we built the system, they were doing all of this by hand with Word documents and pen and paper, so it was great to see how it made them so much more efficient. Micah: I built the user interface for a system that would record and replay stock market data to assist other developers in designing HFT algorithms. Eric: I love solving problems elegantly. Dealing with legacy code can be pretty unenjoyable. Micah: I love spending time to truly understand a problem and then finding a path to its solution. Often times that means sitting with pen and paper before even writing any code! On the flip side, the more you learn, the more you come to realize how little you know. 4. Which personal characteristics do you feel are necessary to be a successful engineer? Eric: I think the best engineers think and communicate logically and practically. They have a love for solving problems and are curious, sympathetic, compassionate, and open-minded. They don’t talk at people, they talk with them. Micah: Patience to understand the problem, confidence to make educated guesses, humility to make corrections. Eric: I think software engineering, in particular, is special because there’s practically no limit to what you can do. Everything is virtual, so it’s trivial to rip things out, rebuild huge pieces of a product, or implement anything you can imagine without the constraints that come along with the physical world. Micah: Software development provides an opportunity to create something from (almost) nothing. We harness creative and philosophical thinking to make something that can truly impact the lives of others. Eric: Dealing with time zones is always a bit of a challenge. Micah: At a previous job, our product was demoed live on morning television. Quick, scale up or fall over! Eric: Working with smart, driven co-workers that share my goal of writing great software. Micah: The opportunity to work on many different projects with talented people who truly care about what they are building. Eric: If we’re banishing people to deserted islands, maybe Ecocapsules. Eric: Either writing code at my favorite coffee shop or being way out in the middle of nowhere backpacking or climbing. Micah: Brand new computer hardware…or retiring to a mountain cabin somewhere in the Front Range.